* Walking shoes: To make walking a pleasant experience, it is recommended that you wear breathable shoes to evacuate sweat. Also, be aware that your body temperature may rise and fall during a walk, so it is best to wear several layers in order to be able to adapt to these changes in temperature. Go for lightweight and responsive cushioning and buy your shoes for their breathability, flexibility and snug fit. * Fitness trackers: A well-designed workout programme should be balanced with hard intervals days, longer moderate sessions and easy recovery sessions. 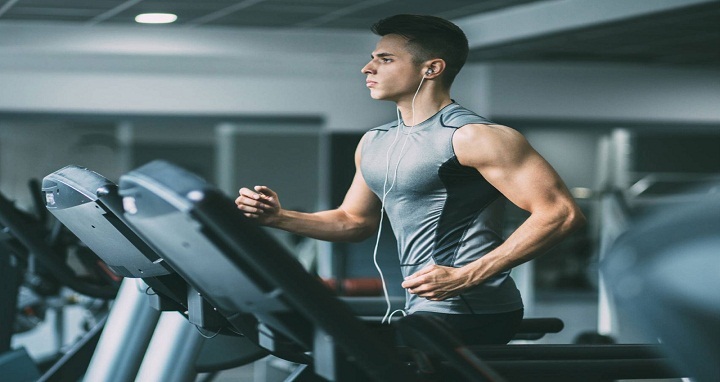 A fitness tracker that measures heart rate can give you the numbers you need to make sure you are always exercising at the most effective intensity. The tracker provides heart rate data, both during your workout and throughout the day, to help you reach fitness goals. You will also get a wide range of lifestyle and exercise apps to keep your programme on track. * Sweat wicking leggings: If you sweat a lot and face problems like thighs chafing, rash problems, invest in a good sweat wicking pair of leggings. They can help avoid this situation altogether as they are designed to be more breathable, comfortable and keep you drier. * Resistance loop exercise bands: You can do so much more than simply taking a stroll around the park. While walking daily for 30 minutes definitely helps to stay fit, resistance bands actually allow you to burn more calories and build strength at the same time. They are made of strong, thin rubber with handles at the end and come in a variety of resistances depending on your fitness level. With these bands, you can do just about any type of strength training exercise, be it best presses or bicep curls, without any heavy weights. * Cooling towels: Replace your dry towels with cooling towels which not only provide instant relief, but are very effective in taking care of your sweat beads. The fabric of the towel is soft to touch, and stays chilled for at least two hours.